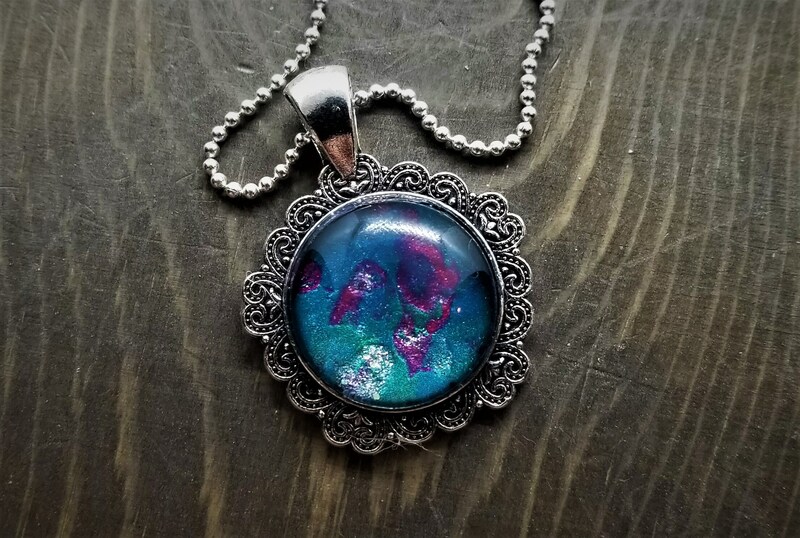 This round glass pendant has a shimmery sparkle nebula with pink stardust strewn across a teal, blue & green sky. 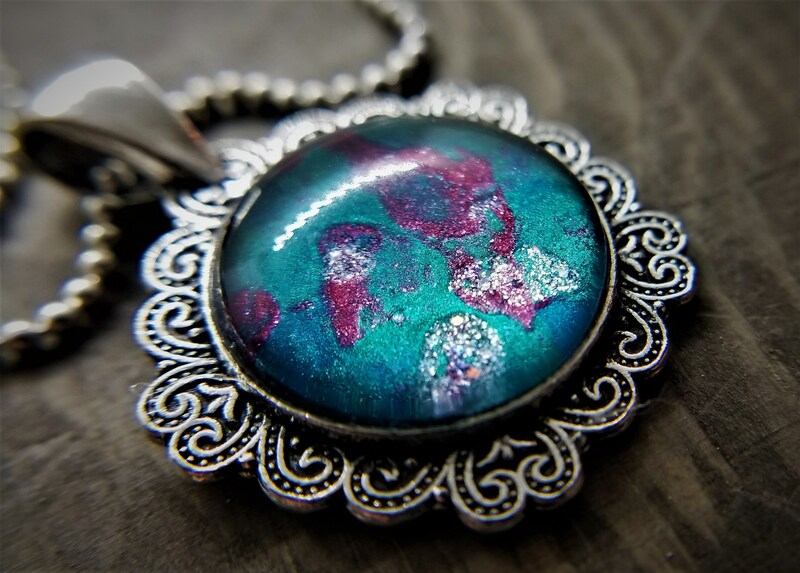 This is a smaller pendant, good for a delicate necklace that packs a punch! 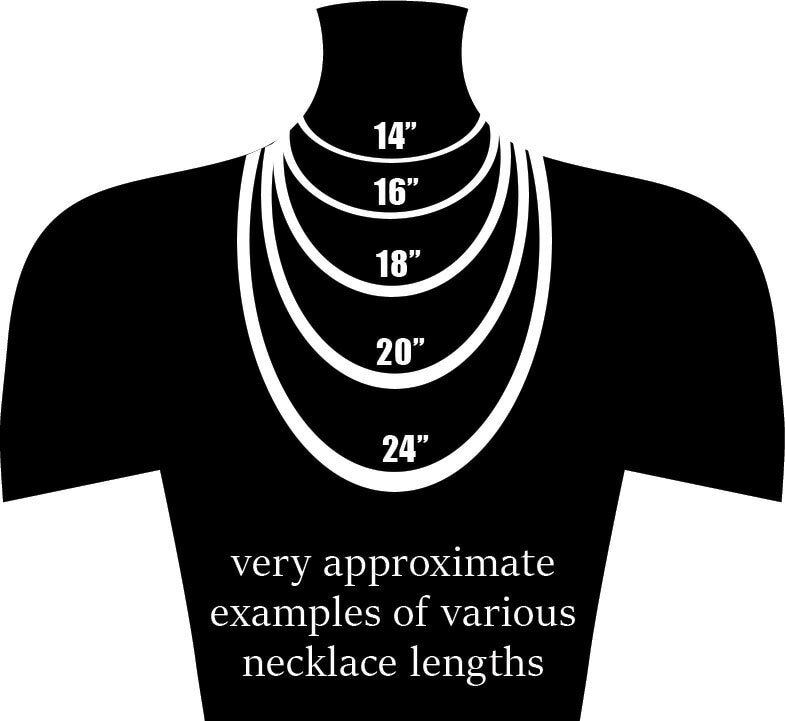 The pendant is 3/4". 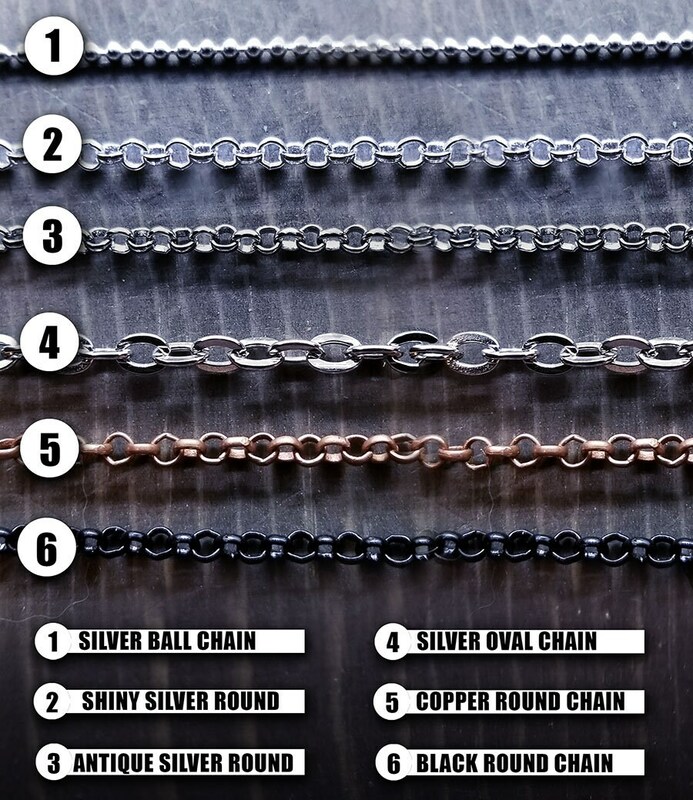 The chain is available in shiny silver, antique silver, copper & black rolo circle chain, antique silver oval chain or shiny silver ball chain.